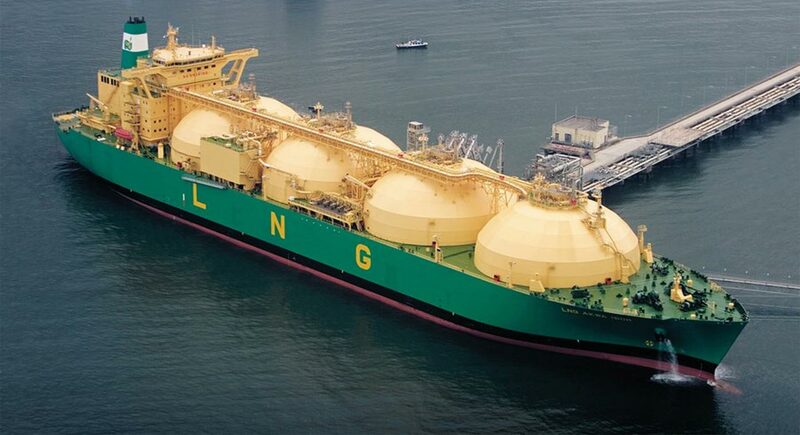 LNG (Liquefied Natural Gas) is natural gas that has been liquefied for transport and storage. Methane has a very low density and is therefore costly to transport and store. High pressure gas pipelines can be used to transport gas on land or for short ocean crossings. Liquefying natural gas makes it feasible to transport gas economically across oceans or in a few applications by truck to small scattered consumers. LNG occupies 600 times less space than the gas, but must be kept at temperatures below 160 degrees celsius and be pressurised. At the receiving terminal, LNG is unloaded and stored before being regasified and transported by pipe to the end-users Shell (2011).What Is LNG?Retrieved from: http://www.shell.com/global/future-energy/natural-gas/liquefied-natural-gas/what-is-lng.html Shell (2011).What Is LNG?Retrieved from: http://www.shell.com/global/future-energy/natural-gas/liquefied-natural-gas/what-is-lng.html Shell (2011).What Is LNG?Retrieved from: http://www.shell.com/global/future-energy/natural-gas/liquefied-natural-gas/what-is-lng.html Shell (2011).What Is LNG?Retrieved from: http://www.shell.com/global/future-energy/natural-gas/liquefied-natural-gas/what-is-lng.html . Shipping - special tankers with insulation and autorefrigeration keep the natural gas in liquid form as it is transported over massive bodies of water. Storage and Regasification - once the LNG reaches its destination it is stored or regasified back to its gaseous state. The regasification process involves passing the LNG through a series of vaporizers that reheat the fuel. The demand for LNG is rising in markets with limited domestic gas production or pipeline imports. This increase is primarily from growing Asian economies and is particularly driven by their desire for cleaner fuels; and due to the shutdown of nuclear power plants. The largest producer of LNG is Qatar, with a liquefaction capacity in 2013 of roughly one-quarter of the global LNG production International Energy Agency (2014). FAQs: Natural gashttp://www.iea.org/aboutus/faqs/gas/ International Energy Agency (2014). FAQs: Natural gashttp://www.iea.org/aboutus/faqs/gas/ International Energy Agency (2014). FAQs: Natural gashttp://www.iea.org/aboutus/faqs/gas/ International Energy Agency (2014). FAQs: Natural gashttp://www.iea.org/aboutus/faqs/gas/ . Japan has always been the largest importer of LNG and in 2013 consumed over 37% of global LNG trade. LNG projects require very large amounts of upfront capital and, because of this, suppliers usually enter into long-term agreements ( up to 15 to 20 years) with buyers before taking their investment decision. The extraction process has environmental and social issues to consider. These concerns are normally due to the energy inputs and local environmental impacts of such large scale industrial development. Additionally, while natural gas is the cleanest burning fossil fuel, it does produce CO2 when it is combusted and is a potent greenhouse gas itself, leading to climate-related concerns. There have been two accidents (Cleveland, 1944 and Skikda, 2004) connected to LNG, but, in general, liquefaction, LNG-Shipping, -Storage, and -Regasification have been proven to be extremely safe. Only the Cleveland incident resulted in any loss of life to the general public; moreover, that event was 70 years ago and was before the effect of cryogenic temperatures on steels was understood.